Brought forth in 1988, BROKEN HOPE was the brainchild of guitarist/chief-lyricist-songwriter, Jeremy Wagner. Though Jeremy was still attending High School, his passion and drive for bringing the band out of obscurity was apparent from the start. 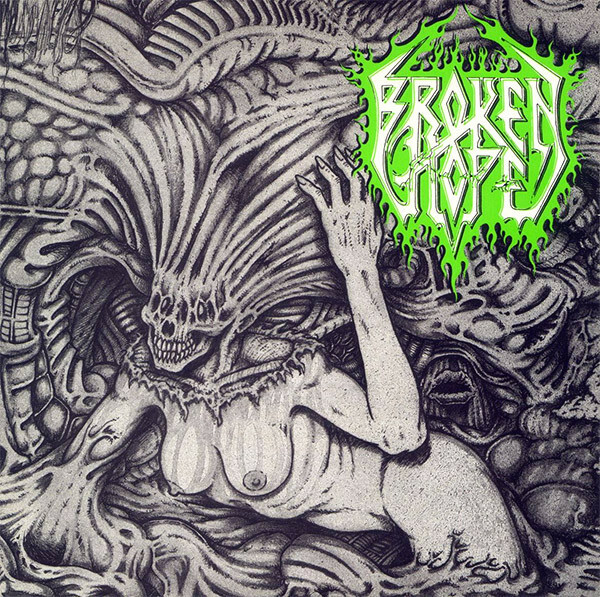 In 1989 and 1990, BROKEN HOPE recorded two demo tapes which landed them a deal with the underground label, Grind Core records. 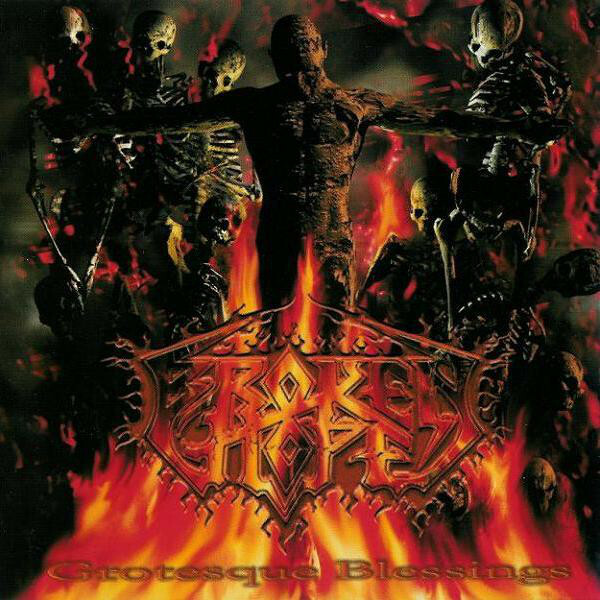 In 1991, BROKEN HOPE spewed forth their debut album, Swamped In Gore, which subsequently launched the band out of the underground and into the mainstream. Swamped In Gore was not only ahead of its time musically but it was also the first digitally-recorded death-metal album yet again showing the forward thinking of the then fledgling act. By 1993, BROKEN HOPE broke away from their first record label and quickly was immediately approached by Metal Blade Records. BROKEN HOPE released four albums with Metal Blade Records: The Bowels of Repugnance, Repulsive Conception, Loathing, and the re-release of Swamped In Gore. 1995’s Repulsive Conception, reached CMJ New Music Monthly‘s Metal Top 25 chart, as did the follow-up, 1997’s Loathing. The first four albums are stellar examples of the fury and sheer brutality possessed by BROKEN HOPE, and is also the albums that etched BROKEN HOPE’s place in death-metal history. The first decade for the band was filled with non-stop writing, touring, and constant visibility with each album. BROKEN HOPE’s music has received praise from bands such as SLIPKNOT, DEVILDRIVER, THE BLACK DAHLIA MURDER, DYING FETUS and many more. By the end of the ‘90’s, BROKEN HOPE produced and released their fifth album: 1999’s, Grotesque Blessings. After North American and European, BH founder—Jeremy Wagner—cleaned house and put Broken Hope into “metal hibernation” in 2002. In 2012, Jeremy Wagner resurrected BROKEN HOPE and vowed to make the band a full-time monster—forever. 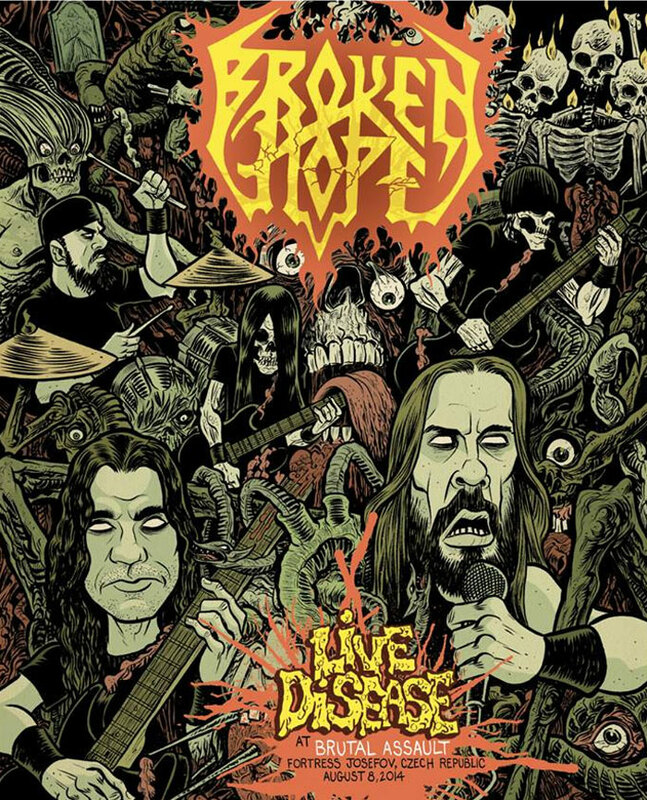 BROKEN HOPE made their long awaited return to the realm of Death Metal on the highly successful Carnival of Death tour. BH’s high-intensity COD live offerings received top-praise, and confirmed that not only was BROKEN HOPE back, they were also more rabid than ever. The band went on to perform at the 2013 editions of Extremefest (Germany) and Maryland Death Fest to stellar reviews which leads us to a new chapter in the annals of BROKEN HOPE. In 2013, BROKEN HOPE put pen to paper and signed a worldwide deal with Century Media Records. 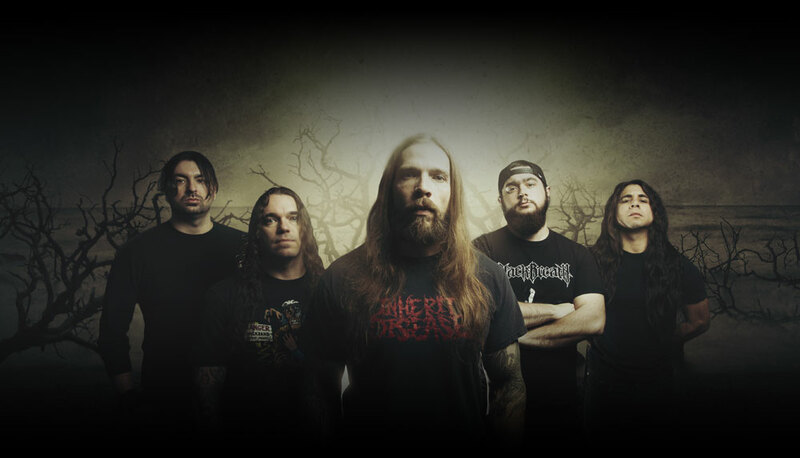 Their sixth album, OMEN of DISEASE, released in October 2013 release. OMEN of DISEASE opened with a big first week, hitting #2 most-added at US radio, nearly breaking into the top 10 at CMJ, and with the track “Womb Of Horrors” added as a Flavor Track at Music Choice. OMEN of DISEASE also dropped with nearly 1,100 copies sold in its first week of release. Trevor Strnad of THE BLACK DAHLIA MURDER makes a guest appearance on backing vocals for the track, “Rendered Into Lard,” and OMEN of DISEASE also features the artwork and return of BROKEN HOPES’s former (and brilliant) album cover artist, Wes Benscoter (SLAYER, KREATOR, MORTICIAN plus many more). 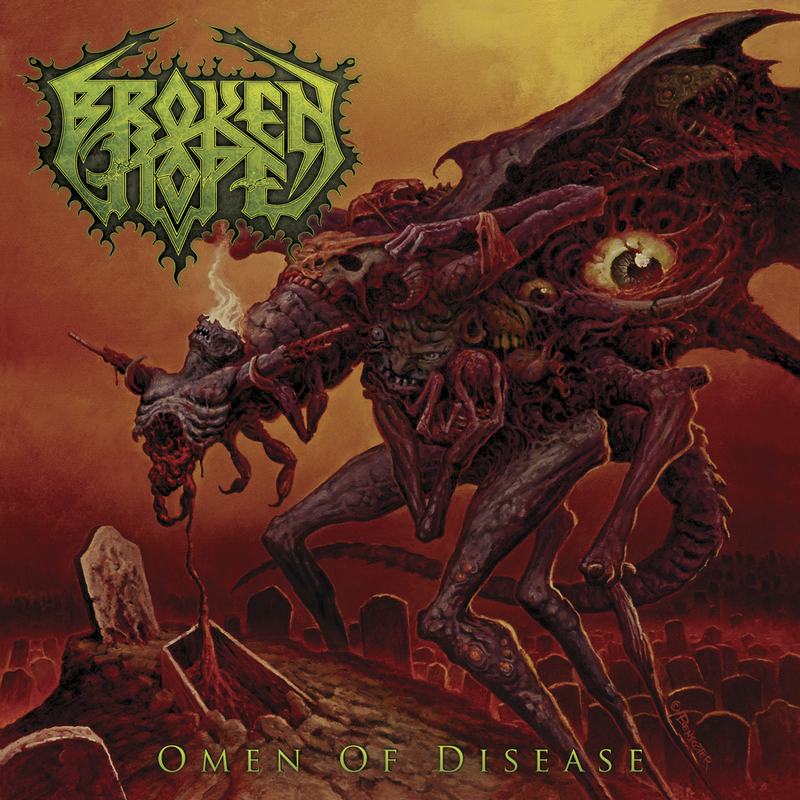 BROKEN HOPE has supported OMEN of DISEASE with non-stop touring over the last year-and-a-half with tours including DEICIDE, IMMOLATION, OCEANO, and festival appearances at BRUTAL ASSAULT, NEUROTIC DEATHFEST, OBSCENE EXTREME, and more. BROKEN HOPE recently overhauled their lineup with the addition of Matt Szlachta (ex-CHIMAIRA) on lead-guitars, and bassist, Diego Soria (Disgorge). BROKEN HOPE finished their FIRST-EVER “HEADLINE” TOUR across EUROPE last April (2015) and appeared at the OBSCENE EXTREME CZECH and MONTREAL editions. In September 2015, BROKEN HOPE released their first-ever Live Concert Blu-Ray DVD and Live Album package via CENTURY MEDIA RECORDS. 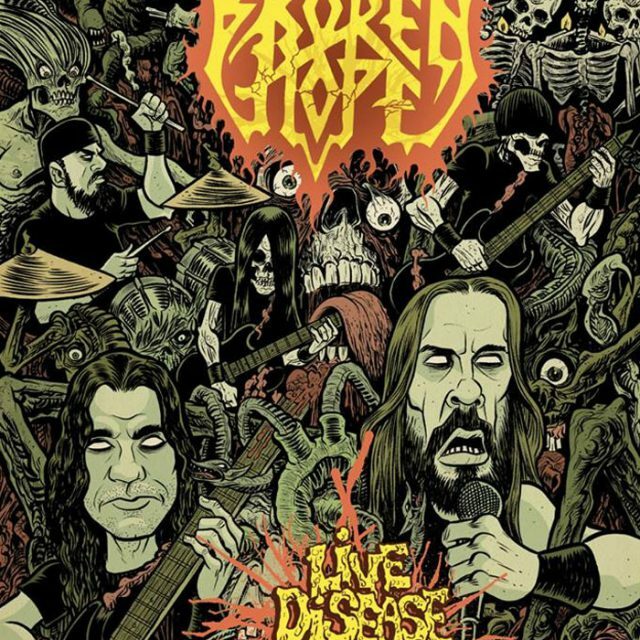 Directed by Tommy Jones (SLAYER, LAMB of GOD, DEATH ANGEL), this Live Concert combo titled, “LIVE DISEASE at BRUTAL ASSAULT,” the Live Blu-Ray and CD capture BROKEN HOPE’s intense and bludgeoning headline set in front of 25,000 fans. The Live CD hit #5 on CMJ’s LOUD ROCK/METAL charts the first week of release with DJ’s and reviewers collectively praising “LIVE DISEASE” as one of the greatest sounding Live CD’s and greatest visual Concert DVD’s in extreme metal. 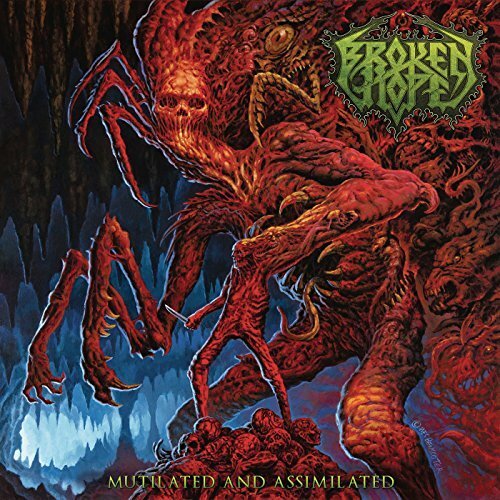 BROKEN HOPE released their new, 7th studio album, “MUTILATED and ASSIMILATED,” on June 23rd 2017. This album is their strongest, most citically-acclaimed release to date and has garnered new-perfect scores in METAL HAMMER UK, DECIBEL MAGAZINE, KERRANG! ROCK HARD (DE), SPARK (CZ), and many more. MUTILATED and ASSIMILATED is available via Century Media Records – ORDER HERE. BROKEN HOPE just finished another major European tour with CATTLE DECAPITATION, HIDEOUS DIVINITY, and GLORYHOLE GUILLOTINE. © 2017 Broken Hope. All rights reserved.